Greg Rapisarda is a passionate and prudent advocate whose legal counsel helps clients define and advance their business and real estate development goals. Clients rely on Greg for day-to-day general counsel and for specific real estate and dispute-resolution needs. Clients who need land use and zoning advice or approvals rely on his guidance and knowledge, which stem in part from his experience handling development projects in more than 35 jurisdictions throughout Maryland and Virginia. 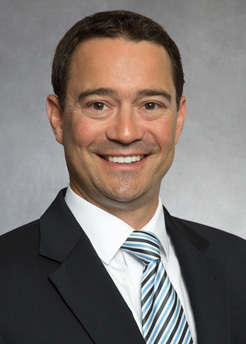 Clients involved in disputes, or otherwise needing to protect their interests, rely on Greg's problem-solving skills, which stem in part from his experience litigating or resolving hundreds of state and federal claims. Clients from the telecommunications industry, particularly wireless carriers and tower companies, rely on Greg's knowledge of federal, state, and local laws and his deep experience in the industry when pursuing their infrastructure development objectives. Greg is client-centered, he represents companies and individuals, and he's committed to mentoring and community service. Recipient of the Lewis Powell Medal for Excellence in Oral Advocacy.